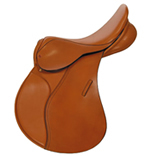 King's Saddlery is one of the largest saddle makers in the UK. Located in Walsall, the home of English saddle making, the company prides itself on combining traditional skills and materials with a modern approach. 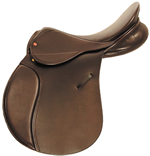 The result: beautiful, quality saddles that offer comfort to both horse and rider at an affordable price. King's Saddlery is a family concern and as such takes pride in its product, seeking for it to meet the expectations of the most discerning customer. 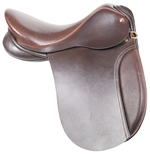 Attention focuses on using the finest hides, birch and wools to produce a saddle that offers durability and comfort, so that whether the rider is just out for a gentle hack or taking part in a challenging event, their King's saddle will fulfil their needs. 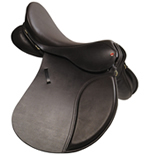 Saddles are offered across a range of standard fits to enable most riders to make an immediate purchase. However for customers wanting something extra special or who feel that their horse is of an awkward shape, then we are happy to produce bespoke saddles from a template. All our saddles are hand made, our skilled craftsmen and women taking time and pride in what they do to ensure that they produce a high quality, beautiful, functional product. 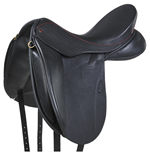 At the same time we seek to offer our riders value for money and so look to offer an affordable saddle that can be enjoyed by all riders and their horses.